Why do I need heat treated wood? 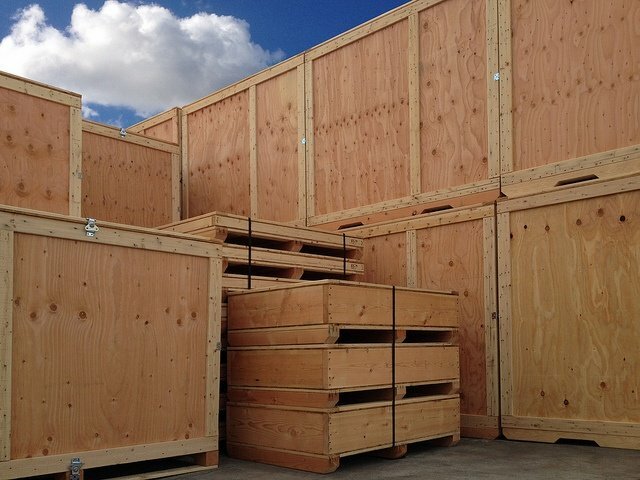 Heat treated wood is mandatory for overseas shipments with wood outer packaging. This came from the need to control plant diseases worldwide and compliance with the US Department of Agriculture. The Heat Treatment Program was developed in order for the American Lumber Standard Committee to implement a quality control program for the official labeling of heat treated wood packaging material with the ISPM 15 official mark. If the lumber used on an overseas shipment does not bear the official mark there could be a hold-up in customs and potential liability. For those of you familiar with customs inspections, the last thing you want is for your product to be waiting in port. In this case study an Import Export company was experiencing long wait times during customs inspections. The container was not easily opened for verification and the vapor barrier bag was left open exposing the sensitive machinery to atmospheric moisture resulting in corrosion damage. By installing an observation/inspection port on the exterior wood container, and a viewing port in the barrier bag, we allowed customs to perform their tasks without breaching the seal or the container. A humidity indicator visible through the observation port was also added. This provided a method to confirm the integrity of the vapor barrier bag. 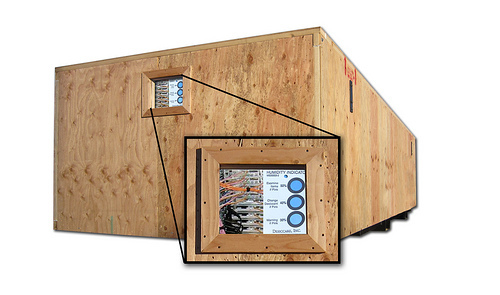 This observation port design successfully reduced damage claims to zero and expedited all future customs inspections.